This year, I am maintaining a digital homeschool portfolio for the first time and I absolutely love it. It’s amazingly simple and it’s absolutely free. 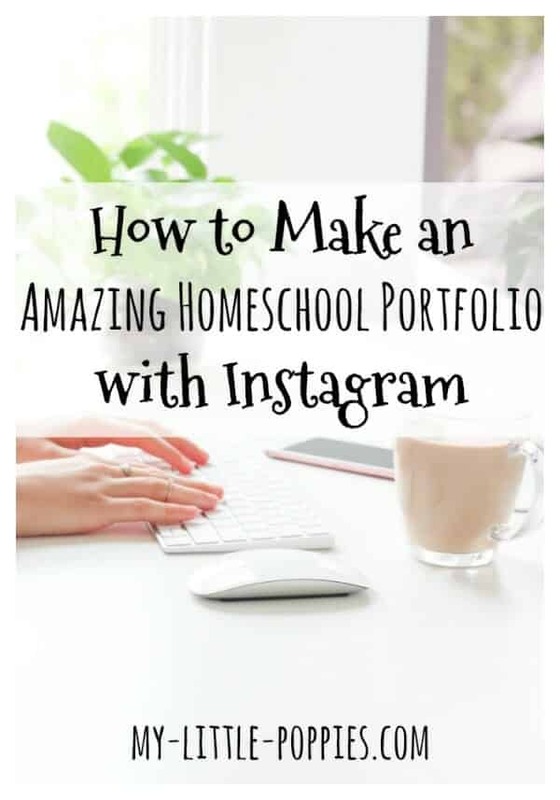 Today, I’d like to share how to make a homeschool portfolio with Instagram and the Seesaw app. I don’t know about you guys, but I love homeschool portfolios but hate creating them. Come June, all I want to do is to spend every minute of my day outdoors. I hate rifling through piles of papers and organizing all the things. Not to mention the fact that much of homeschool cannot be captured in a three-ring binder! Last year, during my portfolio review, I expressed my portfolio woes to my evaluator and she suggested using the Seesaw app. Despite having a blog and a podcast, I am not tech-savvy. So, at first, I was intimidated. I had already tried to maintain a digital portfolio using Evernote but had abandoned it after a few frustrating weeks. But I value my evaluator’s opinion and she assured me Seesaw would be easy-to-use. And she was right. Seesaw was super easy to navigate. It felt like a mini-Facebook, but for teachers and students. 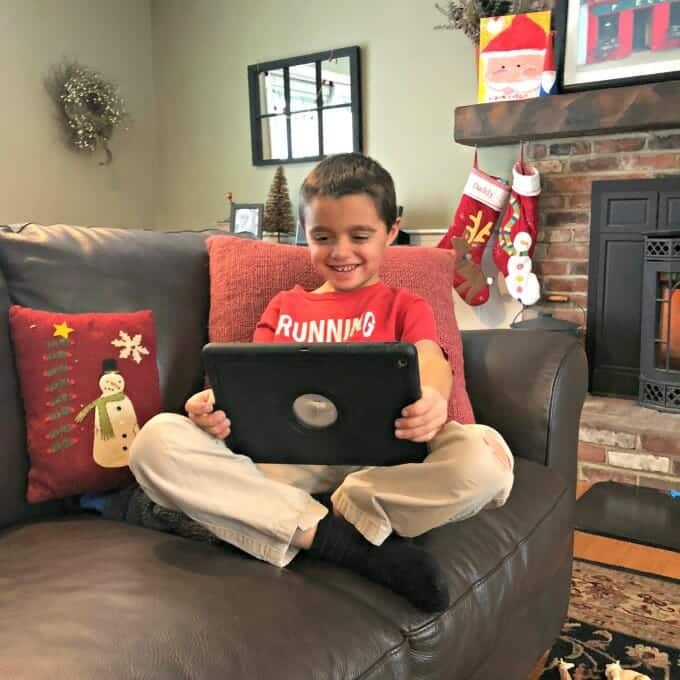 Today, I’d like to share how you can create and maintain a simple digital homeschool portfolio using Instagram and Seesaw. The best part? It’s absolutely free! First, before trying any of this, be sure to check requirements and homeschool law in your state. I live in NH and we are required to complete a homeschool portfolio or a standardized test. In years past, I have tried both and I find that the portfolio option works best for our family right now. I have been using the Seesaw app in conjunction with Instagram since August of 2017 and I love it. 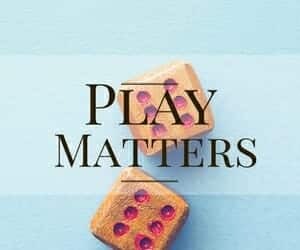 Love homeschool resources? We do, too! How to Make a Homeschool Portfolio… Without Losing Your Marbles! For many years, I kept traditional portfolios for my children, but I longed to make the process easier and simpler. I knew that a digital portfolio could be the answer, but I struggled with how to accomplish that. Last year, I tried using Evernote but – while many love it – it just didn’t work for me. During my year-end portfolio evaluation, I told my evaluator my struggle. 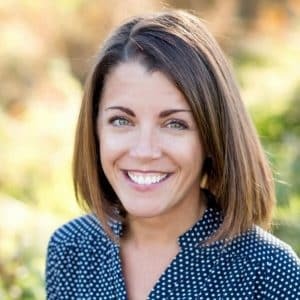 She is a fantastic resource, especially when it comes to all things tech, and she suggested trying the free Seesaw app. I value her opinion and so I tried it. And it was love at first sight. To me, Seesaw was far more intuitive than other options I had tried. In fact, it was designed for children to use and so it’s super user-friendly. If you can navigate Facebook, you can use Seesaw. 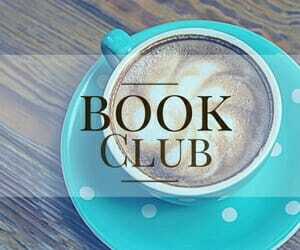 The science experiments, the cardboard creations, the fantastic poetry teatime, the kitchen skills, the soccer performance? 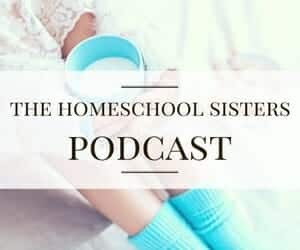 Want to add more joy to your homeschool routine? This is the easiest thing ever, you guys. I am not technically savvy, but I am in love with this year’s digital portfolio. Instagram makes it simple to chronicle a homeschool day. I absolutely love the IG stories feature and use it daily. 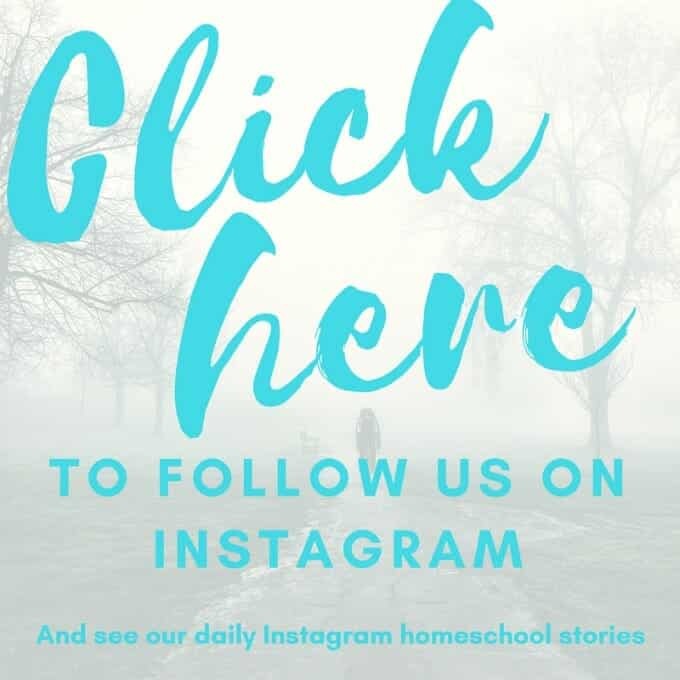 If you follow us on Instagram, you’ve probably already noticed our stories.I capture “highlights” of our homeschool day using Instagram stories. As things happen, I simply snap a photo and add to our IG story for the day. Then, at the end of the day, I have a reminder set on my phone. When the alert goes off, I download my IG story and upload it to Seesaw, tagging the story with the various subjects and activities covered that day. I will also upload any additional photos from that day. These photos may include work samples (which are pretty dull to include in an IG story), or maps showing where/how much we hiked that day (and this includes too much personal info for the world wide web). I tag each video and photo to indicate students and subjects involved. Easy-peasy! The entire process takes less than five minutes. First, make an IG story (IG stories show up in profile photo). Add to the story throughout the day. When the homeschool day is over, simply click the three dots in the bottom right corner of your story. Select “download story” and this will save your IG story to the camera roll. Finally, open the Seesaw app and upload your story from the camera roll. This will add the whole story video to your Seesaw app and then you can “tag” the video with various subjects and add a brief description. Digital portfolios can make homeschool record keeping easy! I am a convert. 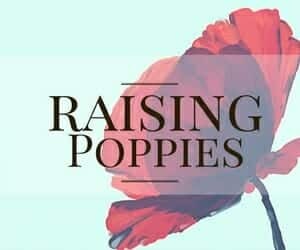 I never thought I could love a digital homeschool portfolio, but this method has been fun for all of us. And, more than that, it’s super-simple. 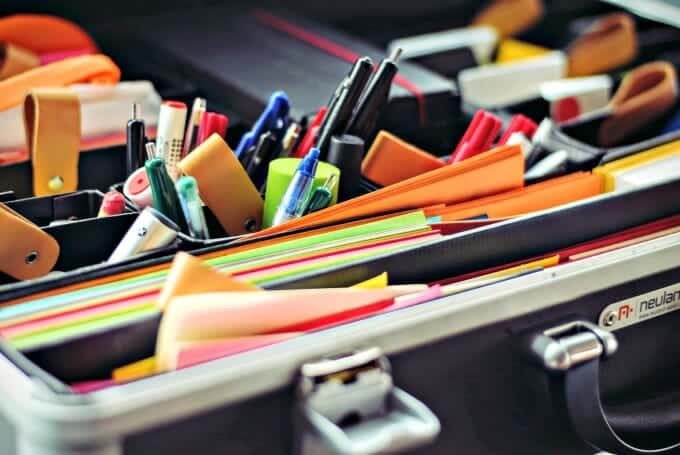 When June rolls around, I’m going to spend every second outside in the sunshine and I’m not going to waste my time organizing papers and hole-punching… because my portfolio will already be complete! Looking for other ways to maintain a homeschool portfolio for free? Now, it’s your turn. Tell me: What does your state require? Do you use Instagram as part of your homeschool portfolio? Share here! Id LOVE to do this. I tried a bit, using the family wall app, and instagram a bit. In our state we have to have a portfolio, but all we have to submit to our association is a simple list of subjects covered and curriculum used. We are expected to have a portfolio and/or journal of sorts, id love to do it digitally but need to be able to print it easily if i need to? Ive used snapfish or shutterfly in the past to upload and print pics from my phone, but havent used IG much. I have no idea how to do a story, and is there a way to make it sort of private? Im one of those weird people who doesnt post every meal, every outing, etc on FB, and I feel weird putting our day out on IG? Im behind the times lol..
Also, this seesaw, is it something you can set up to be private as well? Seesaw is COMPLETELY private. You *can* invite people by email (grandparents, for example) to see the site but it is invitation only. I’m not sure about printing. So much of what I am putting in there is non-printable, if that makes sense. As for Instagram, I think you can adjust privacy options just as you can on FB. BUT, I no longer have a “personal” account so I can’t check this for you. I have a “business” IG account because it is linked to this blog. But I believe you can pick your audience and perhaps even keep it private. Of course, you could just upload whatever photos directly to Seesaw without any Instagram involvement. I just enjoy the stories feature. It’s a 2-minute “highlights” reel of our homeschool day. I hope this made sense! Let me know if you have more questions! I LOVE this post! We’ve been using Seesaw for about a month. You mention that it’s compatible with Google apps. I thought about including our hikes in Seesaw but haven’t quite figured out how to log the route in Google Maps yet. But it got me thinking about what other apps might be compatible. Do you use any Google apps with Seesaw? Thanks! I actually don’t use Google apps (although I should). I use a running app and I take a screenshot of our mileage and map and upload the photo to Seesaw directly. Lots of free running apps out there! Hope this helps! Thank you for this post! This is my first year homeschooling and I’ve been trying to figure out what route to take with keeping a portfolio. I downloaded the app and I’m going to give it a try. Can you give some guidance on how you set up your “classroom” ? I was going to list all 3 kiddos in one “class” but wasn’t sure what to do about the grade listing. Thanks! I love your blog and podcast! I have one classroom with all three kids in it. When I upload content, I tag the students involved and the subject “folders”- does that make sense? I heard about the Seesaw app on your podcast, and so far we are loving it. My kids now routinely ask for my tablet to add something they just created to Seesaw. Their favorite feature is being able to take a photo within the app and add audio commentary to it. Each kid also got to pick an icon associated with their name, which completely thrilled them. I am still figuring out how best to document our learning, but the app is a keeper. I can’t believe it is free! I am so glad you love it too! I also cannot believe that it is free- so amazing! Hi, I am just learning to use both Seesaw and Instagram. I made an IG story but can’t figure out how to upload it to Seesaw. I tried uploading the IG link to the child’s journal under “link”, but I just got an error. Could you share more specific instructions? Thanks! Did we chat on FB? You have to add photos to your IG “stories” (it appears in your profile photo) and then, at the end of the day, click the “…” (more) option in the bottom-right corner. You download the entire story and then upload it to Seesaw through your camera roll. That said, Seesaw now allows you to upload multiple photos to one post so you don’t even need this anymore. I still like sharing our day via IG though, so I’ll likely continue this way. Good luck! We have to have a portfolio review as well, but it can be digital. Thanks for introducing me to Seesaw. We just got it set up and started using it. My 6 yr old was reluctant to do school work today (it’s only our second day!) and Seesaw added some fun. I like the activity ideas too. I’m curious, how will you share it with your portfolio reviewer? 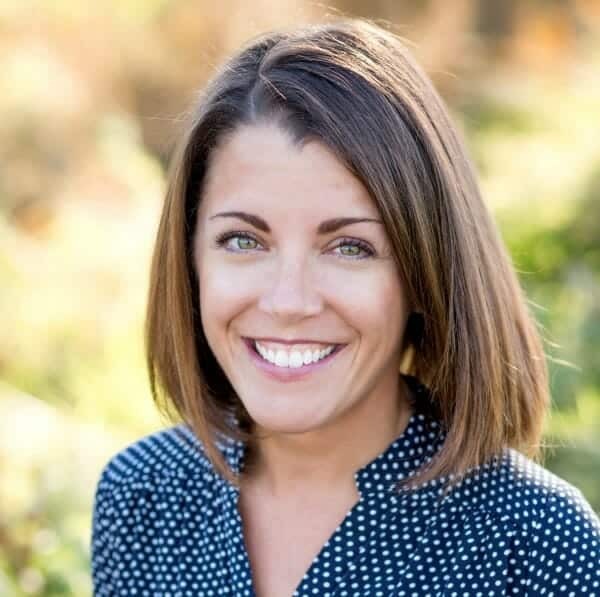 Add her as a teacher or parent to view it? I was also wondering about being able to print the journal. Thanks for sharing your great ideas! Old thread, but hopefully you read these. I read your article a few weeks ago and was thrilled at the idea of saving paper and having an environmentally-friendly record of my c hild’s education and work. Could you tell me if it’s necessary to buy the paid version of Seesaw to add tags? It seems to be . . . I am trying to gauge whether I can add tags by hand or should invest in the paid version. Also, how do you get the portfolio out of seesaw into a format that the reviewer can review? I downloaded the seesaw app but it keeps asking for a teacher code! Help? Hi! We’re staring homeschooling this fall, so I’m trying to prep. I went to download SeeSaw and noticed that there’s a “Journal” option and a “Family” option. Would you happen to know the difference? Which are you using? Thanks! I use it as a teacher. It is an app designed for classroom use, but our “classroom” is just much smaller. So be sure to download it as if you were a public school teacher. If you have any trouble, the customer service is excellent. Enjoy!